Are you a newly qualified Personal Trainer? Are you an experienced Personal Trainer with some space for new clients? Do you want some more new clients? Do you want to start a new bootcamp? If you answered yes to any of those questions, now is the perfect time of the year to put some extra effort into signing up new clients. For many people, the new year includes resolutions to become fitter and healthier. In order to make this resolution a reality, they’ll need your help – though they may not know it! You have to convince them that you are the person that can make it happen. We suggest you adopt the following techniques in marketing material, on social media, or when talking face to face or over the phone. Before and after photos work great, as it shows your success in the past. You can also write or talk about your own personal journey to fitness and how you required a PT, or talk about how you’ve changed a friend’s life for the healthier. Using real stories is a great way to prove your credentials and convince people to use you as their personal trainer. Now might be the best time of the year to call any clients you used to work with that gave up at some point. They might have made that commitment to start again, and this time they mean it. Encourage them to come back to you as a personal training client. Make the call personal, and remind them of the progress they were making and the success you could achieve together. Exercising in the morning is a great way to wake the body and get the endorphins firing. This is great for work morale and efficiency. Therefore, convincing local businesses that this is a relatively cheap way to improve their staffs’ work rate and happiness is quite easy. By hosting a bootcamp for the company, they can pay you $200 for the hour. If 20 of their staff participate, that’s merely $10 a head for that local business, and an extra $200 for you. You also have the opportunity to make some of the staff more permanent clients. Use email marketing to blast persuasive emails to every email address you can get your hands on. This is a low effort way to bring in more clients that you may not have spoken to because you didn’t have time. It’s also a great way to warm up your leads before calling them. 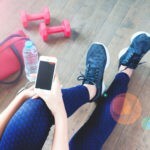 With social media advertising you can set the ads to only be shown to a very specific audience, those who may be interested in becoming your personal training client. The level of specificity is huge, you can go right down to people who live near to you, and have a specific interest, such as weight loss or muscle gain. You then create specific ads to advertise to these segments. For example, to those wanting to lose weight, advertise your ability to help them with that. There are many ways to build up your client list, and putting some effort into that aspect of your business at this time of the year will reap greater rewards. Anything you have tried in the past that has had success, do it again now with extra effort. If you’re not yet a personal trainer but want to become one, check out our Personal Trainer Course, and start your journey towards a healthier and more fulfilling career.